TONIGHT (February 4th) is another installment of “All You Can Dance” w/ J.Rocc & Black Mr. Choc at Del Monte Speakeasyin Venice, CA. It’s DILLA MONTH so you know it’s going down tonight! It’s every 1st Thursdays of each month. 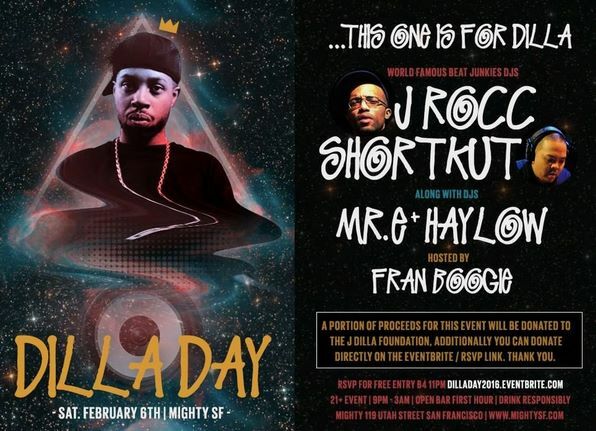 This is the spot to be to get your dance on in honor of J.Dilla …..Don’t Sleep! 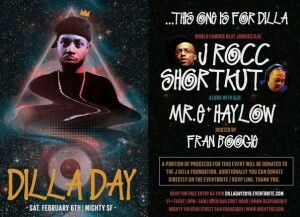 Next month (February) is officially J.Dilla Month. Our very own J.Rocc does another special Dilla mix for Discogs. 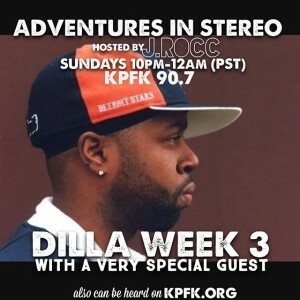 Dilla Forever….Turn It Up! February is what we like to call “Dilla Month” in honor of the birthday & death anniversary of the one of the greatest (if not THEE greatest) music producer of all time….the one & only James Dewitt Yancey, better known to the world as the legendary J-Dilla. He was born in Detroit on February 7th, 1973 and passed away in Los Angeles on February 10th, 2006 due to complications to Lupus, a few days after his 33rd birthday & the release of his final opus, “Donuts”. J.Rocc & Rhettmatic both have a special bond with Dilla. J was part of the circle of close friends when Dilla moved to Los Angeles, that included Madlib, Peanut Butter Wolf, & Egon. J.Rocc is also the 3rd member of Jaylib, the collabo group of J-Dilla & Madlib. Rhettmatic eventually also became a part of Dilla’s LA’s circle of friends. Dilla personally asked Rhett to be his tour DJ for his European Tour (which actually turned out to be Dilla’s last tour ever) when J wasn’t available. Both J & Rhett have done personal tribute mixes to their fallen friend over the years, but haven’t recently done one in a while….till now. 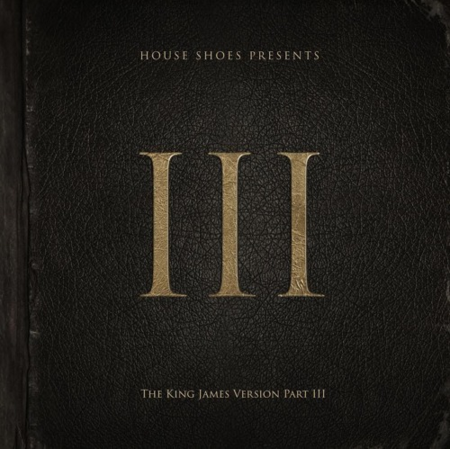 This time, they decided to make another Dilla Tribute Mix….together. They basically planned to record an impromptu, inprovised 2×4 (2 person/4 turntables) mix…nothing pre-planned, video archive the live session, see what happens, pick the best part of the mix, & release it to the world to share. This particular video footage was all recorded in one night with 2 separate GoPro cameras just to document the impromptu recording session between J & Rhett, as they improvise on the spot, weaving in & out of songs with blends & cuts. This is a visual preview of the free mix “Get Live With It”, that will be sharing with the world on February 10th, 2015. This Audio/Visual Recording is dedicated to the loving memory of James Dewitt Yancey aka Jay Dee aka J-Dilla….We miss you.